¡Now that the 2018 it's over is time, to take a look! Have a drink and get ready to enjoy of the mest moments of this incredible year. 2018 in Recollection was made for the team of moderation of this community and all the images on this issue are property of Playata GmbH or made by our team. 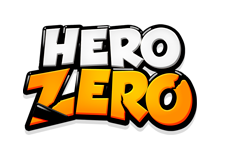 All the information providedhere is trustworthy and taken from the respective platforms related with Hero Zero: game and forum. This theme summarizes the best moments of the 2018 in a few words. ¡We hope you like! This year nothing has changed in our forum, we have maintained the same sections and the same projects, but we will make sure to try to evolve in the next year so we can bring more users to our community. Oooooh,new accounts that were registered in our forum in 2018. The Advent Calendar is magical, ¿not? • The new hideout room "Cybernetic Research Laboratory" is now available. The Research Laboratory gives you a bonus on your basic skills and attributes on newly found items. • A new event type has been added. During those events, every day a predetermined amount of objects will be hidden throughout the game. • New feature "Heroism" is now available! Here you can find a list with the most impressive Heroes of our game. This does not mean that the other players are not impressive, but these are above level 400. ¡Congratulations! We look forward seeing you in 2019. Do not forget to have fun while you enjoy our game. Note: this information was taken of the servers 27 of december. ¡Wow! That was fast, ¿Do not you believe it? We hope you enjoyed what we prepared for you. 2018 It was an extraordinary year and we definitely could not do it without you. Thanks to your disposition and participation in our community is that we have been able to move forward. So, please, continue reviewing our forum in 2019 and make sure you do not forget share your thoughts with us about of Hero Zero.